The oldest award giving body in the Philippines was the Filipino Academy of Movie Arts and Sciences simply called FAMAS. It was launch two years after the Maria Clara awards folded in 1951. FAMAS shared the same name with the American film academy; AMPAS until the later complained and the Filipino organization have to change theirs into the current acronym. FAMAS created a history of controversies throughout their more than sixty years in award-giving business mostly due to their questionable selection of winners. In 2006, FAMAS experienced another setback when two groups divided the organization due to a controversial election of its officers. As the legal battle settled, the battling groups decided to just hand out their own awards, one used the name FAMAS and the other the Maria Clara Awards. Like its infancy, the Maria Clara Awards did not reach its maturity and died the second time. This is not the first time FAMAS experience disgruntled “break-away” members forming their own award. Prior to 1976, FAMAS retained their status as the most prestigious recognition a Filipino actor could have. Charito Solis, who won best actress at the Asian Film Festival in 1967 used to proudly bring her FAMAS trophies on the film set to intimidate starlets and to instigate professionalism. The breakaway group of critics wish to distinguish themselves from FAMAS by successfully branded their award as not for actors who overtly act in films, they catered to the ones who are restrained and controlled. Hence, the term “Pang-FAMAS na acting” was born, which means over-acting. The new group of practicing critics handed out their first award in 1976 and called themselves as the Manunuri ng Pelikulang Pilipino (The Filipino Film Critics) and their awards as Gawad Urian. The critics created a name for its credible choices of winners throughout the years. 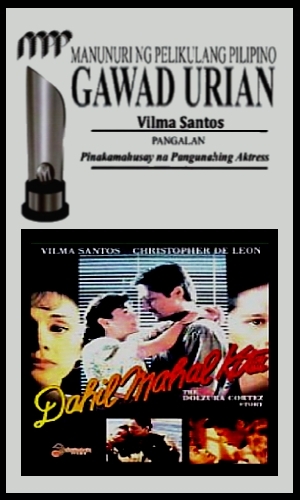 This untainted reputation made the Gawad Urian, the most sought after award in the Philippines. Two years after the critics handed out their Gawad Urian, the Catholic Church joined the derby by handing out their own version of movie awards. The Catholic Mass Media Awards came to fruition in 1978 with the late Cardinal Jaime Sin in charge of the ceremony. CMMA honour not only films but also television, print, radio, and recently advertisement. Five years afterwards, came the establishment of the Philippines’ counterpart of OSCAR. Consists of different guilds, the very first academy awards, now called Luna Awards, handed out in 1983. After 25 years, the Luna Awards cemented a reputation as “the popularity contest awards,” which means each guild votes for their favourites and not necessarily about merits. They tried very hard to adopt a new set of voting rules including different nominating group that represented each guild to resolve this issues but like the OSCAR, the results are sometimes questionable. The common consensus was that the Luna Awards remained far behind Gawad Urian. Two years after the creation of Film Academy of the Philippines’ Luna awards, another group joined the award giving business. The Philippines Movie Press Club or the PMPC handed out their first Star awards in 1985. The Star awards were considered the Philippines’ counterpart of the Golden Globes. And like the Golden Globes, the Star also honours television. The only difference is that the Star Awards hands out their film and televisions ceremonies separately. Consists of publicists and entertainment writers, who are member of PMPC (Philippine Movie Press Club) the Star Awards followed the footsteps of Gawad Urian with very credible choices of winners but just like FAMAS, the Star Awards experienced the same fate with a disgruntled members formed their own version of the same awards. The Entertainment Press Society was born with their Golden Screen Awards in 2004. Today, in addition to the Gawad Urian, FAMAS, Luna, CMMA, Star Awards, and Golden Screen, we also have the PASADO awards from an organization of academics; the YCC, Young Critics Circle Awards from a group of film students; the Gawad Tanglaw from an organization of film and arts’ instructors. Lately, the OMG Awards by the internet company, Yahoo Philippines, and the MTRC Awards by the board of censors joined the now, overcrowded award giving bodies. Before 1982, the word grandslam were only used in sports. The term grandslam according to Wikipedia in terms of tennis is a singles player or doubles team that wins all four major tournaments (Australian, French, Wimbledon, US) in the same calendar year, is said to have achieved the “Grand Slam” or a “Calendar Year Grand Slam,” just like what Steffi Graf, the retired German tennis superstar did in 1988. Meanwhile the American Heritage dictionary described the term “grand slam” as follows: first, the winning of all the tricks during the play of one hand in bridge and other whist-derived card games. Second, the winning of all the major or specified events, especially on a professional circuit. And third, in baseball, a home run hit when three runners are on base. From this set of definitions comes the term “grand slam best actress” which basically winning all the best actresses awards from all major award giving bodies. And in 1983, the four majors were FAMAS, Gawad Urian, CMMA, and the FAP (or Luna now). For Vilma Santos, The previous year, Pakawalan Mo Ako was a huge summer hit that earned Vilma a surprised best actress in FAMAS. That year also released Ex-Wife and Hiwalay, about marital problems. Art imitating life, as there were reports that Vilma and now, ex-husband, Edu Manzano were having some marital problems. But Vilma as trooper as she is, any personal troubles were not publicly noticeable as she goes on with her work, business as usual. Also, Vilma gave birth to her eldest son Luis “Lucky” Manzano. By December of 1981, her film festival entry, Karma earned her another surprise best actress trophy after the FAMAS gave her the nod for Pakawalan Mo Ako. In an unrelated news, the entertainment industry were shocked to found that matinee idol, Alfie Anido died on Dec 31st. Like the death of Julie Vega and Rico Yan, it is still unknown the reason behind Anido’s death. She is determined to make 1982 another successful year. She released a total of six films, out of six; two were certified record breakers, “Sinasamba Kita (I Idolized You)” released in August and “Gaano Kadalas ang Minsan? (How Many Times is Once),” released in November, both produced by Viva Films. The other four films (Relasyon, T-Bird at Ako, Never Ever Say Goodbye, Haplos) were mild hits. All of her hard work paid off because as early as January of the 1983 she was already poised to reap major awards. Meanwhile for Nora Aunor, 1982 were a mixed bag of mild hits and failed opportunities. “Mga Uod at Rosas,” her collaboration with Lorna Tolentino and director Romy Zusara produced a mixed reviews from the critics. Her excellent performance did not help as the film were just mild hit with the audience. Her follow up films, “Annie Sabungera” and “Palenke Queen” both comedies also did not do well at the box office making the expectation from her next film higher, as she teamed-up with the hottest star of 1982, her closest rival, Vilma Santos in Danny Zialcita’s fast paced film, “T-bird at Ako.” T-bird’s high expectation wasn’t realized as the film earned just a modest income. By December, all eyes were focused again on Nora and her most ambitious project to date, Ishmael Bernal’s “Himala,” produced by the Imee Marcos’ Experimental Cinema of the Philippines. The film was an entry to the Metro Manila film festival. Nora Aunor was again proclaimed the “queen of local festival” as she won her third Metro Manila Film Festival best actress. Nora’s momentum was rising and she was conditioned to make some serious dent in the following year’s award giving seasons. Critics were all going “gaga” with Aunor’s gigantic performance as Elsa. They said Himala was very effective in communicating its film’s message; it has moving moments and raw power. Moving Moments – “…Best Films: (in the order of preference) 1. Oro, Plata, Mata and Batch ’81; 2. Relasyon and Himala; 3. Moral. Best Directors: (in no particular order) 1. Ishmael Bernal for Relasyon and Himala; 2. Peque Gallaga for Oro Plata Mata; 3. Mike de Leon for Batch ’81. Actresses: 1. Vilma Santos for Relasyon; 2. Nora Aunor for Himala and Uod at Rosas; 3. Sandy Andolong for Moral and Oro Plata Mata; 4. Gina Alajar for Moral. Actors: 1. Mark Gil for Batch ’81 and Palipat-lipat, Papalit-palit; 2. Joel Torre for Oro Plata Mata; 3. Christopher de Leon for Relasyon. Most movies are usually flawed, and those in my list are no exception. However, apart from the standard criteria I am applying to them (the classic from and content balance), I am giving much weight on impact and emotional power. So, my top two are Oro and Batch. Himala is an ambitious film and much flawed, but it has visual beauty and emotional wallop. Himala won nine out of eleven local festival awards. A sort of repeat of what Vilma’s “Burlesk Queen” achieved in 1977 but without the complaints or sour grapes. Body of Work – The success of Himala in the December festival has been overshadowed by the commercial success of Vilma Santos’ body of work. In fact, on Dec 14, 1982, Channel 9’s talk show, Let’s Talk Movies recognized Vilma Santos as their best actress for her body on work. Nora Aunor was nominated for her films excluding her epic movie Himala which was not qualified due to the show’s fiscal year requirements which covers December 1981 to November 1982 (More about this below). 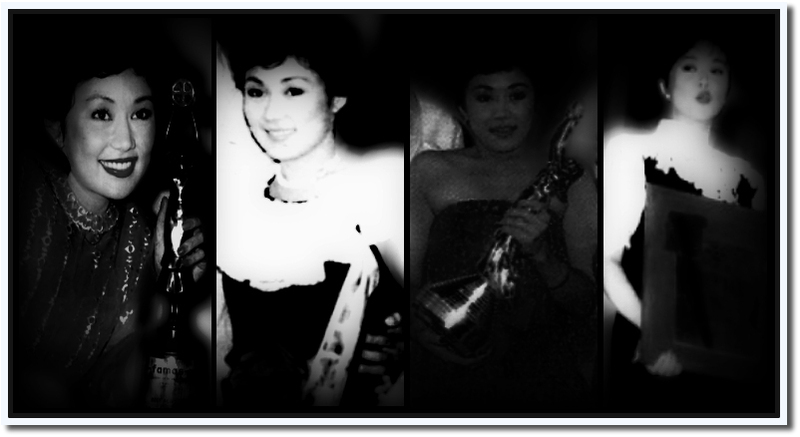 On January 20, 1983, Vilma was crowned the Box Office Queen by the Metro Manila Theaters Association in their very first The 1st Cinehan Awards. Reporter Meg Mendoza wrote in an article for Prime Magazine, “…Vilma gave Viva Films its first biggest hit in Sinasamba Kita earning over P7M in Metro Manila alone. Then came T-Bird at Ako (a mild hit), Never Ever Say Goodbye (a sorry miss), Gaano Kadalas ang Minsan? (her biggest hit for that year) and Haplos. 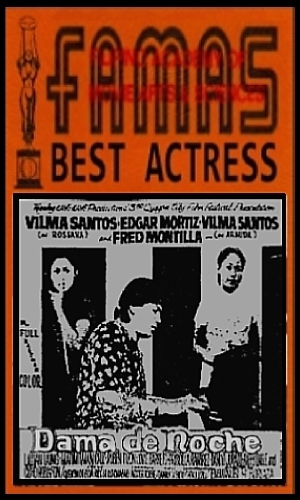 As early as January 20, 1983, Vilma began to reap several victories when she was awarded by the Metro Manila Theaters Association on their first Cinehan Awards together with Fernando Poe, Jr. held at the Philippine Plaza. Ironically, few weeks after her crowning as box office queen, Vilma released Ayaw Kong Maging Kerida, the result was average, proving the Romeo Vasquez and Vilma Santos screen charisma has subsided immensely. Not to be outdone with Vilma’s latest feat, Nora’s “Himala” competed in the 1983 Berlin International Film Festival the following month. The film was the Philippines’ sole entry. The rave reviews were solid, Aunor’s performance was recognized by a nomination but unfortunately, according to Bernal, she lost the race by a mere vote. Would a similar fate awaits Aunor as the local award giving seasons begins? Just the previous year, the CMMA praised Nora Aunor’s acting in the late Mario O’harra film, “Bakit Bughaw ang Langit?” and she was adjudged their best actress. There is a great chance that Nora would repeat the feat, as many expected the church would favor a well-crafted film with religious theme. On February 29, 1983, the fight between Nora Aunor’s “goliath” type of performance in “Himala (Miracle)” versus the “davidian” type of performance in Vilma Santos’ “Relasyon (the affair)” begins. The media were partly right, CMMA gave their best picture, screenplay, supporting actor/actress to Himala. But despite its, taboo story of a mistress, the Catholic Church’s award giving body favoured Vilma’s sympathetic performance. Vilma won the first bout. Nora left empty-handed. The first blood has been drawn and Noranians, Nora Aunor’s fanatic fans were furious. The fight didn’t stop at the Catholic Mass Media Awards. The next one was a big one. Second Major – Noranians expected a third Urian best actress considering the magnitude of Aunor’s performance in Himala and the positive reviews it received. Positive reviews that were written by the Manunuri critics themselves. Noranians dismissed Vilma’s win at the CMMA and expected that metal sculpted trophy was in the bag already. By the way, who are these critics anyway? On April 15, 1983, the Gawad Urian was set to give out their hardware. It was known by many, that the critics or the Manunuris were pro-Nora Aunor. They gave Aunor their very first best actress award in 1976 for her excellent performance in “Tatlong Taong Walang Diyos (three years without God)”. They also gave Aunor a second nod in 1980 in her wonderful performance in “Bona” with Gina Alajar as co-winner. When the winner was read, even Vilma was surprised. After so many years of snubs, she finally received the recognition she truly deserved. The critics finally came to their senses and recognized Vilma’s explosive and giant killer performance. Adding cherry to an already sumptuous plate, at the same night, on April 15, 1983, Vilma have to rush to another ceremony, she was crowned by the Guillermo Mendoza Memorial Foundation as the 1982 – 83 Box Office Queen of Philippine Movies at the Celebrity Sports Plaza with Fernando Poe Jr as the Box Office King, her second crown/title after January’s Cinehan Awards. This was Vilma’s second major best actress wins in the same calendar year. She was half way there. People are now starts talking about the possibility of Vilma winning all the best actress awards. Not to be outdone, Noranians regained from their disappointments as Nora Aunor received an award from a socio-political group, the TOWNS on April 23, 1983. Nora Aunor received (The Outstanding Women in the Nation’s Service) or simply TOWNS award from the former first lady, Madame Imelda Romualdez Marcos, at the Plenary Hall of the Philippine Convention Center. With the first lady handing out the TOWNS to Nora, people are started to insinuate that Nora Aunor’s defeat in two previous majors are politically motivated. Third Major – The next race was the very first Luna Awards, back then, simply called the Film Academy Awards, Philippines’ counterpart of OSCAR. Vilma Santos faces again a stiff resistance from Nora Aunor. In the end, Vilma received her fourth best actress award. And like when Nora received her TOWNS award, the former first lady, Imelda Marcos handed out the very first Academy award best actress to Vilma. Vilma won her third major best actress in the same calendar year. One short of a complete overhaul. Fourth Major – The award season of 1983 ended with the handing out of the FAMAS. The Manila Film Center was jam packed with not only celebrities but also a boisterous group of Noranians and Vilmanians. Unfortunately, Nora Aunor wasn’t nominated for her gigantic role of Elsa in “Himala” instead, she was nominated for her portrayal of an underdog lover of the late Johnny Delgado in Romy Zusara’s “Mga Uod at Rosas (The Worms and Roses)”. The competition didn’t stop with Vilma’s “Relasyon,” Noranians were worried about the other nominees too. Hilda Koronel was cited for her solo starrer, “PX” and Alma Moreno was nominated for her daring role as Cristina Gaston in the “Diary of Cristina Gaston.” The list of Nominees were completed with the inclusion of two veterans: Mona Lisa for her supposed to be supporting role in “Cain at Abel” and Liza Lorena for her surprising role in “Santa Claus is Coming to Town.” With this list comes a lesser expectation from Noranians, as Nora wasn’t nominated for her more intense role as Elsa. But this didn’t bother them as they raided the Manila Film Centre with so much fanfare. Paranoia seeped in their brain as they hypothesized the reasons why Nora failed to win any awards. Sabotage according to them was the only reason. The political repercussion of the film being made under the Marcos administration resulted Nora Aunor being ignored by all award-giving bodies! Never mind that Vilma Santos deserved all the wins. Vilma Santos swept the entire best actress in four major award-giving bodies in one calendar year. The tag line “grand slam” was born. In addition to the above majors, talk show, “Let’s talk movies” came up with their own film awards on its anniversary presentation at the end of 1982. The hosts, Behn Cervantes (filmmaker, film critic), Armida Siguion Reyna (film actress, producer) and Mario Bautista (movie reporter, critic, columnist) were quoted as who they think deserve the year’s accolade. While Vilmanians celebrated their idol’s historical win, Nora Aunor redeemed their broken ego by lining up to the 1983 Manila International Film Festival on June 24th, Himala was chosen as the opening gala film together with Hollywood film, Gandhi as the closing. After the awards season of 1983, Vilma Santos released three more films after the disappointment, Ayaw Kong Maging Kerida. On June 9th, Viva Films released Paano Ba ang Mangarap? that turned out to be another box office hit. Few months afterwards, Regal films released Bernal’s Broken Marriage, the follow-up film after the successful grand slam film, Relasyon. Finally, four days after Vi’s birthday, Viva Films released Marilou Diaz-Abaya’s drama, Minsan pa Natin Hagkan Ang Nakaraan, another box office hit. This film plus the two films mentioned above confirmed her bankable status. Not to be outshine again, “Himala” continued its relentless fight for recognition, winning the bronze prize at the 1983 Chicago International Film Festival on November of 1983 (Nov 4-18 1983). Vilma Santos made history. The first grand slam win of Vilma Santos was repeatedly analyzed over and over again. Mostly to give accolade to Nora Aunor. In recent years, Himala was recognized in many film exhibitions around the world. Even international television network fell on the prey and held an international internet poll, raising Himala to its highest glory, proclaiming the film as one of Asia’s best film. They hail, finally, Aunor were given the citations its truly deserved! Again, never mind that Vilma Santos gave the most effective performance in the history of local movie screen. The fact is, no matter what they do or say they can’t change history. 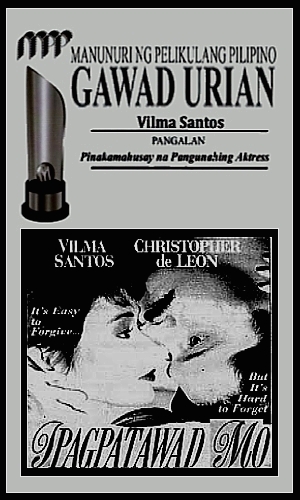 Vilma Santos was the very first “grand slam” best actress winner. 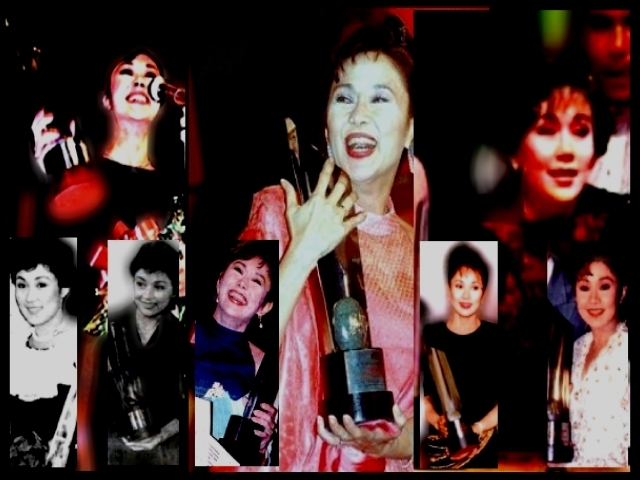 The history continues – Three years after Vilma Santos registered the very first grand slam win, Philip Salvador replicated the honours by winning all the best actor in 1985 via Lino Brocka’s political drama, ‘Bayan Ko kapit sa Patalim.’ Salvador won five majors as Star Awards were added to the four. 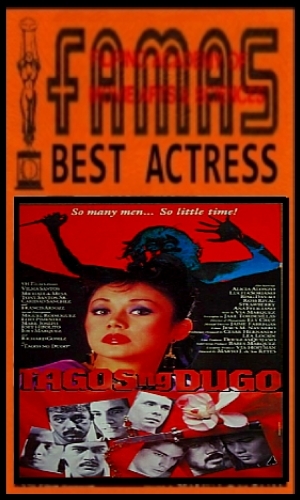 The next year, 1986, Nida Blanca followed suit with a best supporting actress grand slam for her outstanding performance in the film, “Magdusa Ka.” Then four years after Blanca’s came the most awaited turn for Vilma’s rival. Noranians were ecstatic as their idol claimed all the best actress hardwares of 1990 for “Andrea Paano Ba Ang Maging Isang Ina.” A deserving consolation as the film bombed at the box office. Nora’s stiffest competition came from Vilma’s two films, Lino Brocka’s “Hahamakin Lahat,” and Laurice Guillen’s “Kapag Langit ang Humatol.” But the table was turned and Nora claimed almost all of the major awards except from CMMA where she was declared runner up to Gina Alajar. Then back to Vilma again. – In 1993, Vilma Santos successfully relived the life of the first PWA in Laurence Guillen’s “Dahil Mahal Kita: Dolzura Cortez Story.” Not only the film recorded the second grand slam win for Vilma as best actress of 1993, the film was also a smashed hit. The two years intervals prove to be a normal pattern as Vilma’s closest rival took all the trophies again in 1995. Nora Aunor hit the jackpot via true to life film, the “Flor Contemplacion Story.” And not only did she won the grand slams, she added an international recognition winning the best actress at Cairo International Film Festival. In addition to the majors, Aunor also received the best performer from YCC and the box office queen title from the Guillermo Mendoza Memorial Scholarship Foundation, Inc. (GMMSFI). Then back to Vilma Santos again after two years for the third time. 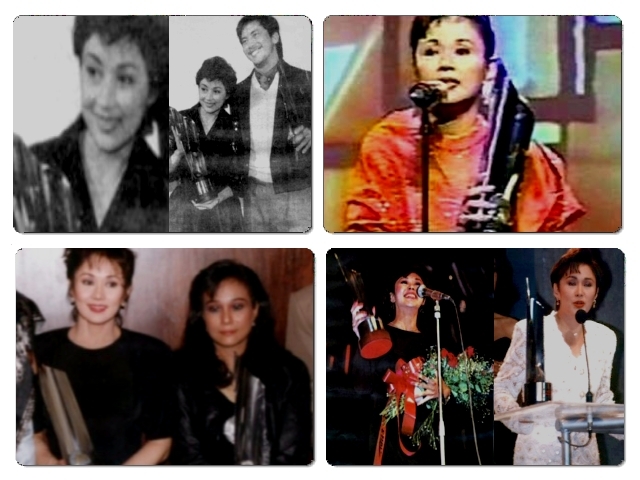 Vilma Santos won all the best actress awards for 1998′s “Bata Bata Paano Ka Ginawa (Lea’s Story)”. Then like Aunor in 1995, she added an international recognition with her grand slam win. Vilma was cited as the best actress at the Brussels International Film Festival. And also received the YCC-Film Desk’s best performer award. 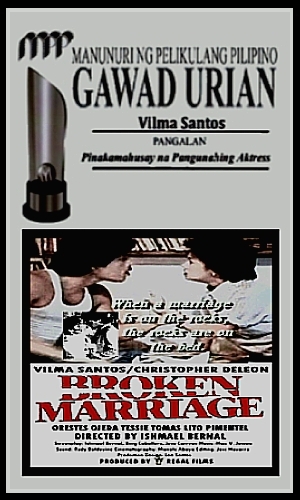 Then in 2002, Vilma Santos for the fourth time claimed the grand slam title by winning all the best actress awards for her superb performance in the film, “Dekada 70 (the seventies).” At the same time, Vilma’s co-star, Piolo Pascual declared his arrival to the big league of fine acting by winning all the best supporting actor awards. 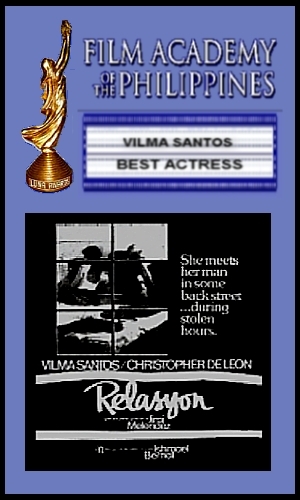 The film also gave Vilma her second international recognition winning the best actress from Cinemanila International Film Festival. In addition, she also received hardwares from PASADO (Pampelikulang Samahan ng mga Dalubguro) and YCC-Film Desk in its annual Circle Citations. In Conclusion – For Noranians, Nora Aunor should be given the honour as the very first grand slam win in 1976 as they argued Aunor won the best actress from FAMAS and Gawad Urian, the only major award giving bodies back then. Unfortunately, this wins didn’t create the tag line, grand slam. 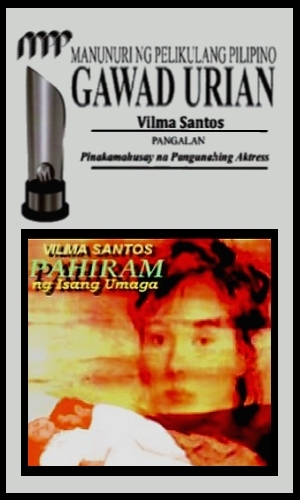 Also, Vilma Santos, as film producer won all the best picture award in 1978 for Pagputi ng Uwak Pagitim ng Tagak from FAMAS and Gawad Urian, still the only major award giving bodies. Unfortunately, no one said this is a grand slam win. On May 1, 1976, ten Filipino critics agreed to discuss the annual award-giving situation in the local industry. All in agreement that there must be an alternative to FAMAS, the only award giving body in the Philippines. The ten critics, mostly academics, were Pio de Castro, Behn Cervantes, Pete Daroy, Mario Hernando, Bien Lumbera, Doy del Mundo, Manny Pichel, Nick Tiongson, Gino Dormiendo, and Nestor Torre. Most of them were part of FAMAS roster of judges. Most, questioned the recent years winners. According to the website, Wikepedia: “The 1972 best actress “tie” that materialized between major star Boots Anson-Roa and then-rising star Vilma Santos was a good example of the disillusionments experienced by the academics. according to them, the two winners was unheard of at that time, which resulted in accusations of lessening “credibility and prestige.” Ironically, Gawad will have numerous ‘tie” winners in their future set of winners, including a string of ‘tie” involving their early favorite, Nora Aunor. Headed by Nestor Torre, the nine critics agreed to review films and release quarterly film citations with the final nominations and winners announce at the end of the year. Over the years, the Manunuri Ng Pelikulang Pilipino, MPP, (translates – Filipino Film Critics and considered the equivalent of the USA’s New York Film Critics Circle), established themselves as the most credible award giving bodies in the Philippines. They are known for having a long discussion for each of their award categories resulting sometimes in heated debate and unfortunately resulting with the unavoidable “ties” winners. Since 1976, the group has eluded controversies that rival groups endured. The oldest award, FAMAS has experienced two renegade or break away groups resulting in costly legal battles and low television ratings. Another group, the Philippine Movie Press Club is considered second to Gawad Urian, their Star Awards had a similar fate, they also had a break away group, creating their own awards, the Golden Screen Awards. With the advent of new awards, now ten, and still counting. Gawad Urian remained strong and the most sought after. Currently, the Manunuri are consists of: Rolando B. Tolentino, Grace Javier Alfonso, Butch Francisco, Mario A. Hernando, Bienvenido Lumbera, Miguel Q. Rapatan, Benilda S. Santos, Dr. Nicanor G. Tiongson, Tito Genova Valiente and Lito B. Zulueta. 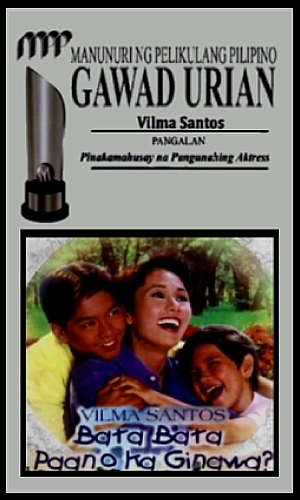 Vilma Santos has become a big part of Gawad Urian. Although she wasn’t considered their early favourite, they developed a long fondness to the actress, many considered as the Meryl Streep of the Philippines cinema. 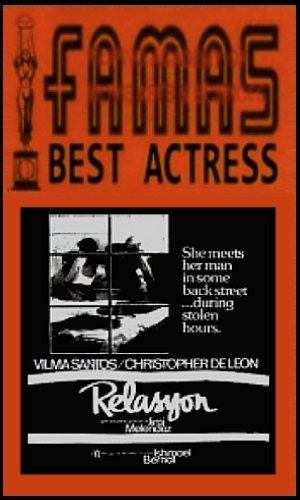 Fourteen best actress nominations spanning three decades and eight wins starting in 1982’s Relasyon. She also recieved a Gawad Urian best picture award in 1978, as film producer for the film, Pagputi Ng Uwak Pagitim Ng Tagak. 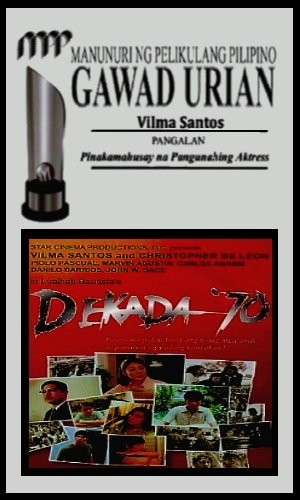 In 1981 Gawad Urian cited four films for their best picture category, Romy Suzara’s Pepeng Shotgun, Mel Chionglo’s Playgirl, Mike de Leon’s Kisap Mata and Laurice Guillen’s Salome. Salome was the winner. The four directors were also nominated for best director together with Ishmael Bernal for Pabling. Guillen was the winner for Salome. In addition to picture and director awards, Salome also won the best screenplay for Ricardo Lee and the best actress award for Gina Alajar. Alajar’s strong competitors were Charito Solis for Playgirl and Nora Aunor for the forgettable Bakit Bughaw ang Langit. Vilma Santos were again got the cold shoulder from the Manunuri as she wasn’t even cited for any of her films, Pakawalan Mo Ako where she won a FAMAS, Hiwalay, a Romy Suzara directed film, Karma where she won the best actress from Metro Manila Film Festival or Ex-Wife, an Eddie Rodriguez directed film co-starring her with Beth Bautista. But a turned of events the following year. MPP considered 1982 a good harvest with a string of high quality films: Batch ’81, Himala, Moral, Oro Plata Mata and Relasyon, all vying for the best pictures Urian. Oro Plata Mata edged out the other four. It also won the best director honour for Peque Gallaga. Gallaga defeated Marilou Diaz-Abaya (Moral), Ishmael Bernal (Himala and Relasyon), Lino Brocka (Cain at Abel) and Mike de Leon (Batch ’81). The writing category went to Clodualdo del Mundo, Raquel Villavecencio at Mike de Leon for Batch ’81. Noticeably ignored many times by the Manunuri, Vilma Santos was nominated for her sympathetic mistress role in Relasyon. She is up against Nora Aunor’s epical role for Himala, Gina Alajar and Lorna Tolentino were nominated for their feminist film Moral completed the nominees. 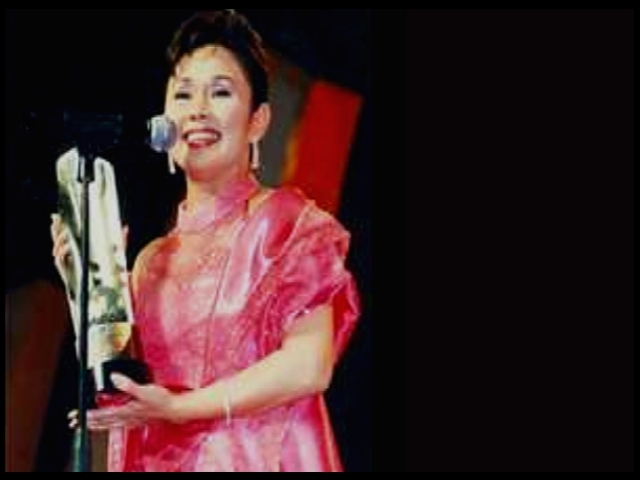 The Manunuri surprised everyone by declaring Vilma Santos as their 7th best actress winner. 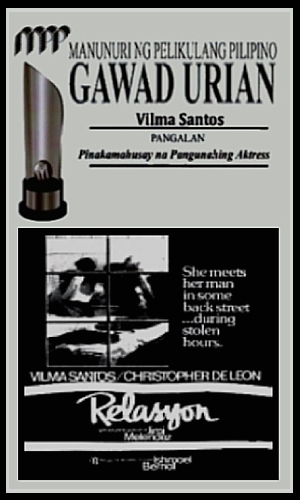 The other award giving bodies (FAMAS, Film Academy of the Philippines and CMMA) also declared Vilma Santos as their best actress and the term “grand slam” were born atleast in local entertainment industry. As for the other acting categories, Philip Salvador won the lead actor and Baby Delgado, supporting actress both for Cain At Abel, and Mark Gil won the supporting actor for Palipat-lipat, Papalit-palit. The Manunuri gave the Natatanging Gawad Urian to veteran actress, Anita Linda, who is still very active today and who worked with Vilma several times. Who cares about movie awards? Vilma, Nida Share top acting honors – “…Vilma Santos shared the coveted Movie Actress of the Year award with Nida Blanca in last Saturday’s Star Awards, the local counterpart of Hollywood’s Golden Globe, at a jampacked UP Theater in Diliman, Quezon City. Santos was honored for her role in Bata, Bata…Paano Ka Ginawa?, a movie written for the screen by Lualhati Bautista based on her own novel and directed by Chito Roño for Star Cinema. Blanca, meanwhile, won her acting trophy for her role in the obscure Sana Pag-ibig Na by first-time director Jeffrey Jeturian for Golden Harvest. The two bested three other nominees: Elizabeth Oropeza (Tasulok), Rosanna Roces (Ang Lalake sa Buhay ni Selya), and Sharmaine Arnais (Sagad sa Init). In the male actor category, the members of the Philippine Movie Press Club gave Cesar Montano his second acting trophy for playing Dr. Jose Rizal in the multi-million peso production Jose Rizal that Marilou Diaz-Abaya made for GMA Films. It was an expected win that no one, even the other nominees in the Movie Actor of the Year: Raymond Bagatsing (Kriminal ng Baryo Concepcion), Ricky Davao (Ang Lalake sa Buhay ni Selya), Richard Gomez (Babae sa Bintana), and Eric Quizon (Pusong Mamon). Montano won the same honors in the Metro Manila Film Festival. Apart from the Actor of the Year, Jose Rizal bagged eight other trophies including Movie of the Year. Star also honored the film in directing (Diaz-Abaya), acting (Jaime Fabregas, in supporting role), screenplay adapted from another material (Ricky Lee, Jun Lana, and Peter Ong Lim), production design (Leo Abaya), film editing (Jess Navarro and Manet Dayrit), music scoring (Nonong Buencamino). Jose Rizal is only the second movie produced by the fledgling GMA Films and cost the new movie outfit some P80 million, making it the most expensive film made in this part of the globe. It already grossed to date, according to reports, close to a hundred million. Sa Pusod ng Dagat, its first venture into serious film making, didn’t have much luck in the box office, but won Star honors in the original screenplay category for writier Jun Lana and cinematography Romy Vitug. Star Cinema’s bet for major awards, Bata, Bata…Paano Ka Ginawa?, seemed to have failed to impress the movie press. It only collected three trophies, for Santos’ performance and the two child actors Serena Darlymple, proclaimed New Movie Actress of the Year, and Carlo Aquino cited as Child Performer of the Year…The Star Awards for Movies is handed out annually by the Philippine Movie Press Club, It kind…Starting as an alternative to the macho-dominated Famas 15-years ago, it eventually became the event to watch. During its early years, its choices caused a lot of raised eyebrows, especially among the more academically equipped group of movie writers and critics. Fractured by a split in membership when a faction opted to take a leave and eventually resign amid a feud between the writers’ group and ABS-CBN last year, the remaining members of the PMPC remained undaunted. These days, there seem to be peaceful co-existence between the group and the network that questioned publicly its credibility in handing out awards of excellence. Last Saturday marked the return of Star Cinema;s acknowledgement of PMPC and Star Awards as something the industry can do without. Representatives from the film company accepted the trophies for winners who failed to make it to the show, like Carlo Aquino. In contrast to the conciliatory moves of Star Cinema;s management, actors, and technicians whose chances of victory are uncertaine chose not to make an appearance. Movie Actress of the Year nominee Rosanna Roces was nowhere in sight. So was Richard Gomez. Even Movie Supporting Actress winner Anita Linda didn’t bother to come and accept her trophy. Yet, others showed their support to the PMPC by their sheer presence, making the Star Awards still the most star-studded annual awards show were Christopher de Leon, Pops Fernandez, Regine Velasquez, Daisy Ryes, Keempee de Leon, Geneva Cruz, Zsa Zsa Padilla, Troy Montero, Ralion Alonzo, Vina Morales, Carol Banawa, Jolina Magdangal, and Antoinette Taus who performed in the usual musical numbers and broke the monotony of the awards. Other probably came for the P10,000 cash prize for the Male and Female Star of the Night Award given to those the PMPC members decided looked best during the show. And the award went to Albert Martinez and Glydel Mercado. Some members of the audience though thought Sunshine Cruz in a see-through gown looked more fabulous. Starlet Bernadette Allyson also attracted attention and won Fairest Skin of the Night. And Eric Quizon was voted Darling of the Press. Quizon was also one of the hosts of the show. Joining him were Ronnie Ricketts and Vilma Santos whose fans punctuated the show with screams, cheers and applause. A female fan was reportedly escorted out of the theater by security guards aftersome members fo the audience complained that she has making too much noise. If the Vilmanians were rowdy, the Noranians was the opposite side of the theater were ferocious. They trooped to the theater when they learned Nora Aunor would make an appearance to present the Ulirang Artista Award to her friend Caridad Sanchez. They broke in wild cheers when their idol chilled out of the stage wing and stood on the right end of the stage. Vilma was on the opposite side waiting for her cue to introduce Nora. It was all right until the Mayor of Lipa announced Nida Blanca instead. Urian’s Choices“…Another major upset was Nida Blanca’s failure to clinch top acting honors. Her perfromance in Sana Pag-ibig Na by another first-time director Jeffrey Jeturian was considered by many worthy of an Urian trophy and could give popular choice Vilma Santos a tough time in all of the awards this year. Blanca shared the same honors with the Mayor of Lipa City earlier in Star Awards. Seventy-six-year-old-actress Mona Lisa was this year’s recipient of Natatanging Gawad Urian presented to her by Insiang co-star Ruel Vernal and Manunuri’s Grace Javier Alfonso. The actress recent work is a role in Nick DeOcampo’s Mother Ignacia. This is the 22nd year the Manunuri group have been handing out trophies to honor outstanding work of actors, directors, writers, film editors, sound engineers and music scorers in Filipino movies…The show looked like most local awards shows with musical numbers that has no relevance to the film medium punctuating the monotony of introducing the nominees and annoucing the winners. Rosanna Roces’ licentious humor somehow livened up the perfunctory intros of presentors and performers. Osang was resplendent in an off-shoulder tangerine ballroom gown at the beginning and changed into a heavily beaded and sequined pience with partly see-through skirt. Many in the audience wondered if she was wearing a wig. With Osang as co-hosts were a slimmer Rustom Padilla and Albert Martinez who was struggling with an astma attack and had to leave even before the show was over.